December's Cape Cod events calendar is packed with festive events to celebrate the Holidays and the coming New Year. Our towns, our shops, even our left-over lobstering equipment are all trimmed out in the spirit of the Christmas season. ... celebrating the Holidays in Cape Cod style! And there are special visits from Santa, too. How does he get here? By boat, of course - to the delight of children of all ages! 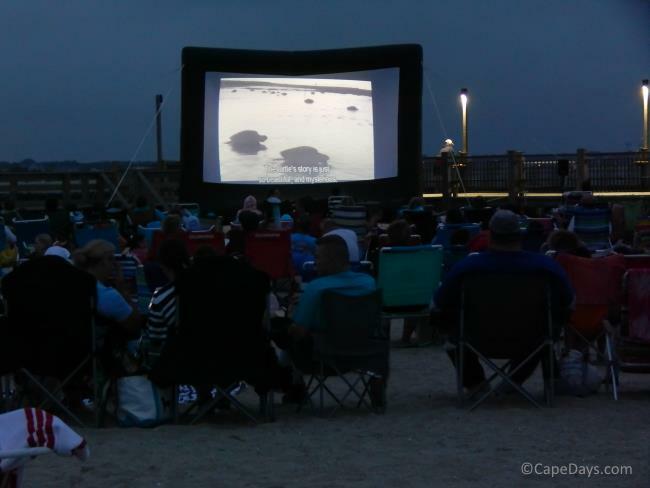 For a host of family friendly Cape Cod events in December, come to Orleans! During the month-long Seaside Christmas celebration, shopkeepers, gallery owners and restaurateurs welcome visitors with special events and tasty treats - and some nice discounts and promotions to help preserve your shopping budget. 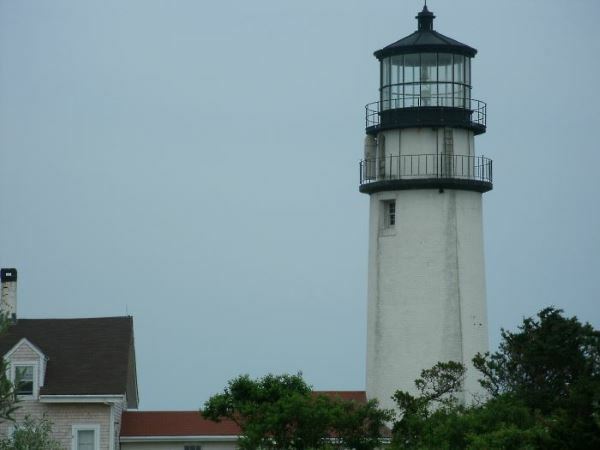 Getting out and about around town, there's a jam-packed roster of things to see and do including Christmas tree lightings, caroling, Nauset Model Railroad Club's Open House, and tons more. When: Weekends (Fri., Sat., & Sun.) in December from 4:30 - 8:30 p.m.
Heritage Museums & Gardens is putting on the glitz again this Holiday Season with it's treasured annual event - Gardens Aglow! At this extra-special time of year, the good folks at Heritage adorn their acres of beautiful gardens and woodlands with more than 10 miles of twinkling, sparkling lights. It's truly an awesome thing to see! The wonderful children's story, The Train to Christmas Town, comes alive as you board the Cape Cod Central Railroad's festively decorated train cars for a ride to Christmas Town on Cape Cod. As the train chugs along the tracks, the elves get everyone into the Holiday spirit with sweet treats and sing-a-long caroling. Of course, the Jolly Old gentleman himself will be there when the train pulls into town, meeting and greeting everyone with a rousing "Ho, Ho, Ho!" and a special gift for each child. What a fun way for the whole family to kick off the Holiday Season! This town-wide celebration is a long-standing tradition in the historic "Sea Captains Town" of Brewster. 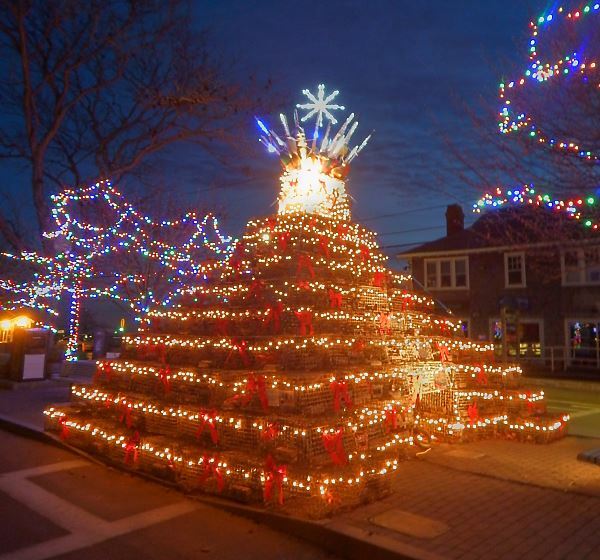 This weekend in Harwich begins with the Harwich Port Stroll where locals and visitors join together for the tree lighting ceremony and caroling. Also on Friday evening, have your photo taken with Santa (he arrives by fire truck), and take a horse-drawn carriage ride through Harwich Port. Holly Folly Weekend, the Provincetown Business Guild's Gay and Lesbian Holiday Festival, is a great time to peruse Provincetown's amazing variety of shops and galleries for unique gifts that'll "Wow" everyone on your list - pets included! Guests are encouraged to bring a new, unwrapped gift or a gift card to place under the Giving Tree as a donation to the Independence House in Hyannis. Note: This event is open to the public as well as to guests of the Resort. All along Main Street there's a full day of family fun with breakfast with Santa, strolling carolers, arts & crafts, trolley and horse-drawn carriage rides, a petting zoo, and much more. When: December 1, 2018 from 4 - 5 p.m.
What's better than Christmas caroling on a crisp December night? Caroling by the light of the festively decorated Eastham Windmill! This year, Nauset Honors Chorus will lead the event. Bring the family and your Holiday spirit, and enjoy! When: December 1 & 2, 2018, 9 a.m. to 4 p.m. When: December 2, 2018 from 1 to 4 p.m. When: December 2, 2018 at 1:30 p.m. Holidays By The Sea in Falmouth is jam-packed with fun for everyone! This festive weekend includes the arrival of Santa sailing into Falmouth Harbor, the Annual Lighting of the Falmouth Village Green with caroling and a special visit from Santa, and the downtown Holiday Stroll. Noon on Sunday is kick-off time for the annual Falmouth Christmas Parade. Renowned for being southeast Massachusetts’ largest Christmas parade, highlights include decorated floats, marching bands, live animals, costumed characters and Santa Claus, too. It's one of the premier Cape Cod events in December - definitely not to be missed! When: December 8, 2018, 5:30 p.m. Among all the festive events on Cape Cod in December, the Annual Mashpee Christmas Parade is one you won't want to miss! Each year the parade seems to get bigger and better; and this year will be no exception, I'm sure! When: December 8, 2018 from 10 a.m. to 3 p.m.
Tour grand homes in the historic village of Bass River, see the sights, and pick up home-baked cookies along the way. What could be better?? When: December 9, 2018; noon to 4 p.m.
Have a festive day in Dennis with tons of family fun including hayrides, trolley rides, music at the bandstand, visits with Mr. and Mrs. Santa Claus, shopping, silent auctions, the tree lighting, and much more. It's all part of Dennis Christmas Stroll day 2018! Admission: Some events are free, others require a Chatham First Night "button". Buttons may be purchased locally or online. Adults $22-$25, kids ages 3-11 $5, children 2 and under Free. 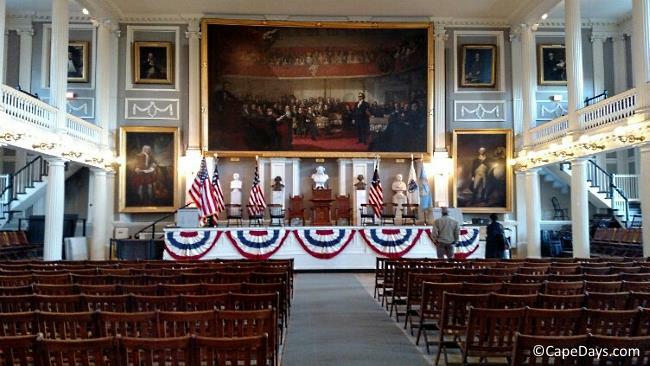 Chatham celebrates the arrival of the New Year with a gala, full-day festival filled with events for the whole family. If you're in the area, come to Chatham and ring in 2019 Cape Cod seaside style!